This isn't a lake of disappointment, it's an ocean of it. 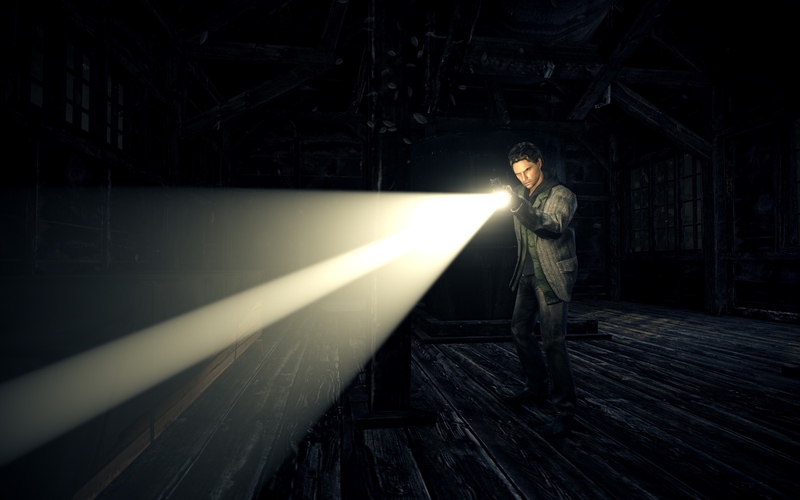 One of Alan Wake's best features was its licensed soundtrack, and now the tunes developer Remedy Entertainment carefully curated are causing a bit of grief. Remedy's rights to The Black Angels' "Young Men Dead" and "Up Jumped The Devil" from Nick Cave and the Bad Seeds (among others) are expiring, and with them, so must Alan Wake itself. Remedy tweeted that because of this, the game will be delisted from Steam and other digital storefronts after May 15th. To make sure everyone who wants to play it still has a chance to, Remedy will discount the game by a whopping 90 percent on Steam. It's going for $30 at time of publication, so when the sale starts tomorrow the price should drop to $3. Oh, and if you're buying it, don't forget to hit the jukebox in the game's diner early on for an easy achievement/trophy for playing "Lime in the Coconut." The delisting also applies to the Xbox 360 version that's available on the Xbox Store, but the difference is that there, Remedy can't control pricing for the backwards compatible game. If you'd want to play the game on your Xbox One and didn't already own it, that'll set you back $20, but add-on episodes "The Writer" and "The Signal" won't cost you a dime. Remedy stresses that no, the delisting won't remove the game from your Steam or Xbox libraries, the developer just can't continue to sell it. This doesn't apply to the action-heavy downloadable side-story Alan Wake's American Nightmare, however. If you've already burned through both of those but missed out on Remedy's most recent project, Quantum Break, the time-traveling tale features an awesome soundtrack as well, both in terms of hand-picked licensed tracks like "Circles" by Kate Tempest and the score by Finnish composer Petri Alanko. Speaking of Quantum Break and music, that game has an option for turning licensed music off completely as a way to ensure streamers don't get their videos flagged for copyright infringement. To combat expiring licenses prior, other games have been patched to remove the offending tunes. But given how Remedy used specific tracks to punctuate the end of chapters/episodes in Alan Wake that very likely wouldn't work here. It's just one of the unfortunate side effects of the digital future we live in. The "Alan Wake Sunset Sale" begins tomorrow at 1pm Eastern.